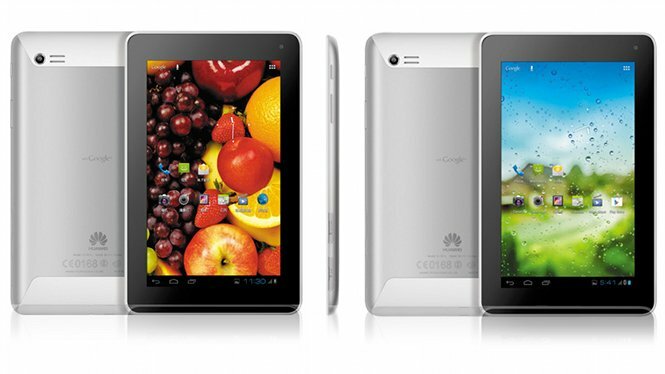 What we see here is the latest Android device to emerge from Huawei, the Mediapad 7 Lite. We'd love to be able to run through the full list of specifications, but as yet very little has been revealed about this tablet. From the press shots it appears to be running pretty much stock Ice Cream Sandwich, but otherwise it's a pretty mysterious device thus far. What we do know about the device is that the 7-inch IPS display will be capable of full HD video playback. Additionally, the Mediapad 7 Lite will be a metal unibody construction, house a rear facing camera, and be capable of 3G cellular voice, SMS and MMS. 7-inch phone anybody? Otherwise, we know nothing of the processor, the RAM, on-board storage. It looks really well designed, and packing cellular features could potentially make it a bit of a hit. We'll have to sit tight for the time being though, as there is no indication of launch date, price, or which markets will be seeing it.